Join us as we celebrate 260 years since the Museum first opened its doors on 15 January 1759. From cats to conservation, we’ve compiled the biggest and best numbers from the last two and a half centuries. It’s our 260th birthday! 🎂🎉 The Museum is the oldest national public museum in the world, and has been free to visit for ‘all studious and curious persons’ since 1759. To mark the occasion, instead of cutting cake, we’ve been crunching numbers – scroll down for some truly spectacular stats. We’ve welcomed 350,404,179 visitors to the Museum over the last 260 years – that’s more than the entire population of the USA! 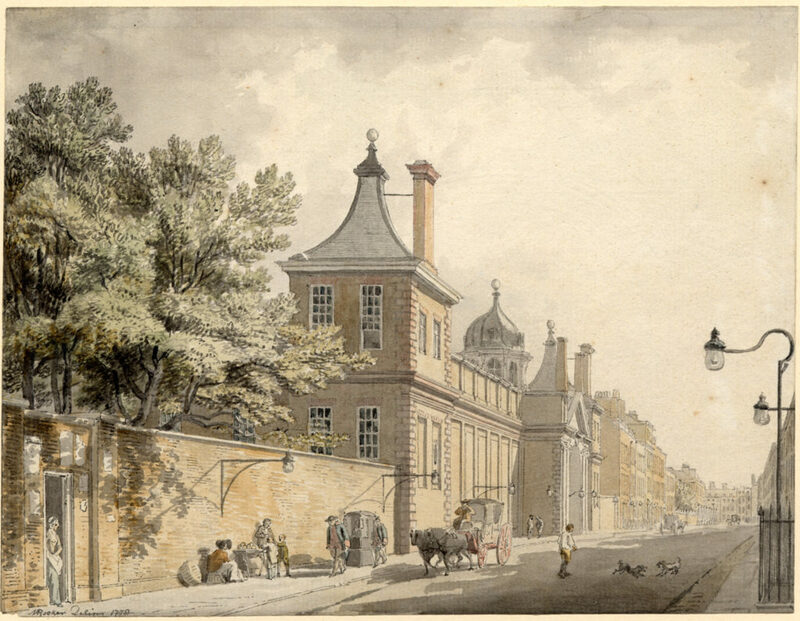 The first visitors walked through the doors of Montagu House – the original Museum building, shown above – on 15 January 1759 and, as they say, the rest is history. If you’re one of the 350 million, thanks for visiting! There are a staggering 8,000,000 objects in the collection, housed across multiple sites. It expanded from Sir Hans Sloane’s original collection of around 71,000 objects, bequeathed to the nation upon his death in 1753. The Museum’s collection is still growing, and Curators continue to acquire new objects – you can see some recent acquisitions from our Prints and Drawings department in our free exhibition until 27 January 2019. 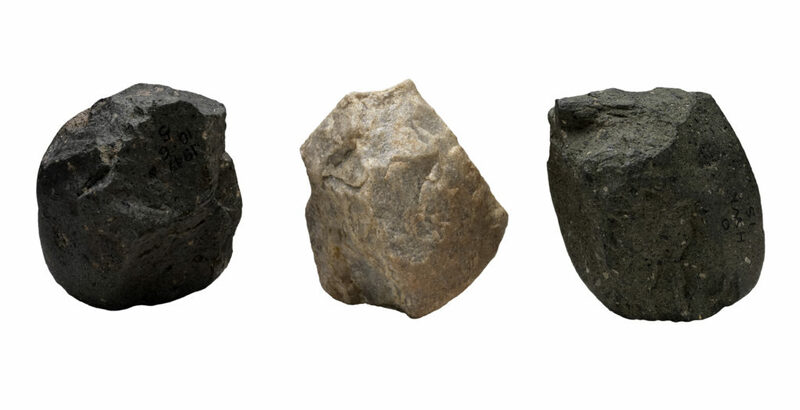 These chopping tools are among the oldest objects in the collection, made by early humans around 2,000,000 years ago and found in the Olduvai Gorge in Tanzania. They represent the world’s first technological innovation and could be used in multiple ways – chopping branches, cutting meat and smashing bones. You can get your hands on similar tools made millions of years ago at the object handling desk in Room 2. 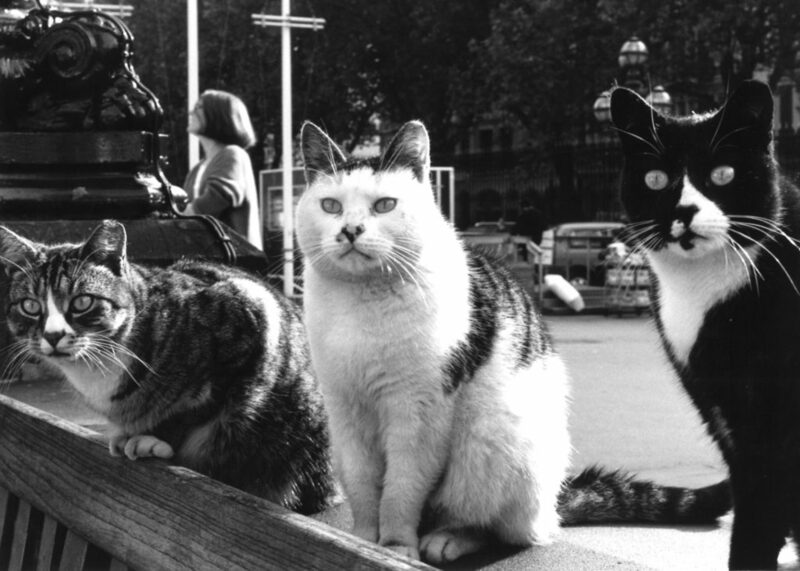 Between the 1970s and 1990s the Museum had between 4 and 7 cats, depending on the year, which were kept to deter mice and rats. There was even a ‘Cats’ Welfare Society’, set up to help look after the feline population. You can read the full story of cats at the Museum here. 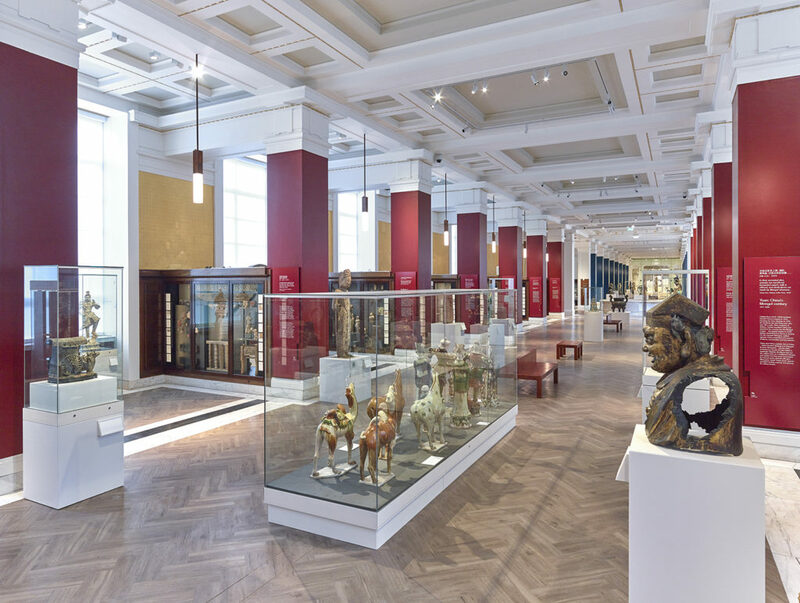 You can see exactly 2,774 objects in our wonderful Sir Joseph Hotung Gallery of China and South Asia, which spans from prehistory to the present. The gallery was reopened after refurbishment in 2017 by Her Majesty The Queen, 25 years after Her Majesty initially opened the gallery. The Queen was given a tour by our curators and even signed the guest book! You might not know the Museum has its own X-ray imaging laboratory, hidden deep underground in the World Conservation and Exhibitions Centre. The laboratory operates at 450,000 volts which is 90,000 times more than your phone charger! 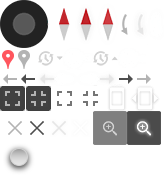 Up to 2,000 individual X-ray images are used to create one of the 3D pictures shown above. This finely decorated ewer is on display in our new Albukhary Foundation Gallery of the Islamic world. 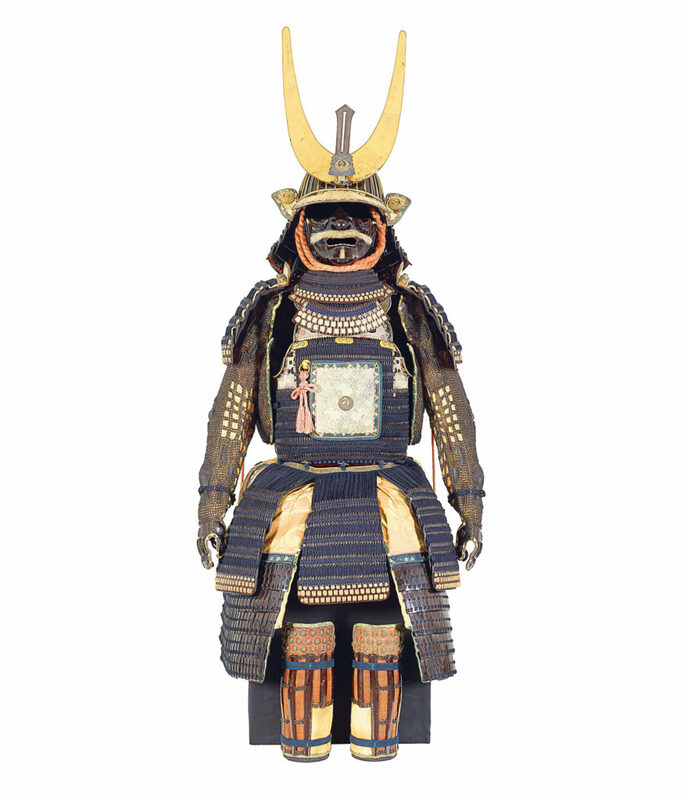 The Museum’s newly acquired suit of Samurai armour took 260 painstaking hours of conservation work to get it ready for display in our recently refurbished galleries. It’s a complex object made of many different materials, so it presented a unique challenge for our conservation teams. You can read more about the process in our Conservator’s blog post. There’s a 4,400-year span of history on display in The Asahi Shimbun Displays No man’s land. 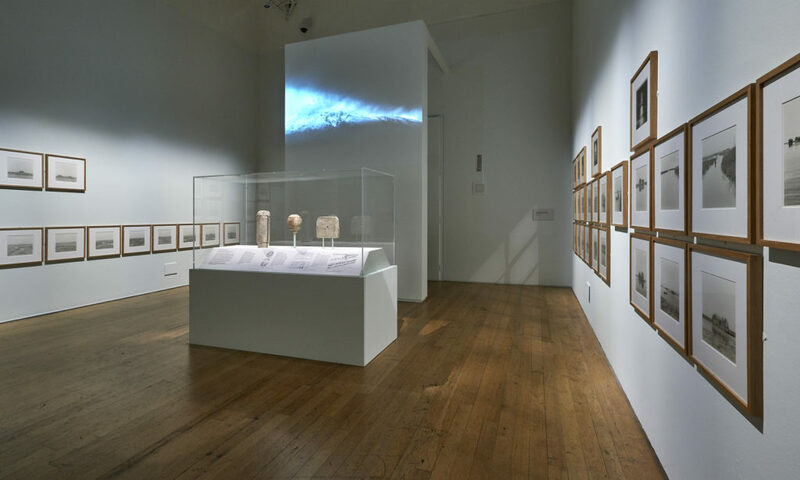 The show features objects made around 2400 BC relating to the first recorded border dispute – between the city-states of Lagash and Umma (now both in modern-day Iraq). Also on display is contemporary photography of this area of the Middle East by German artist Ursula Schulz-Dornburg. This stunning Anglo-Saxon buckle was made in the early 7th century AD. At 413 grammes it’s quite weighty – roughly the same as a can of baked beans! It was found as part of the Sutton Hoo ship-burial in the east of England – one of the most important archaeological discoveries ever made. The intricate designs contain 13 creatures – can you spot them? 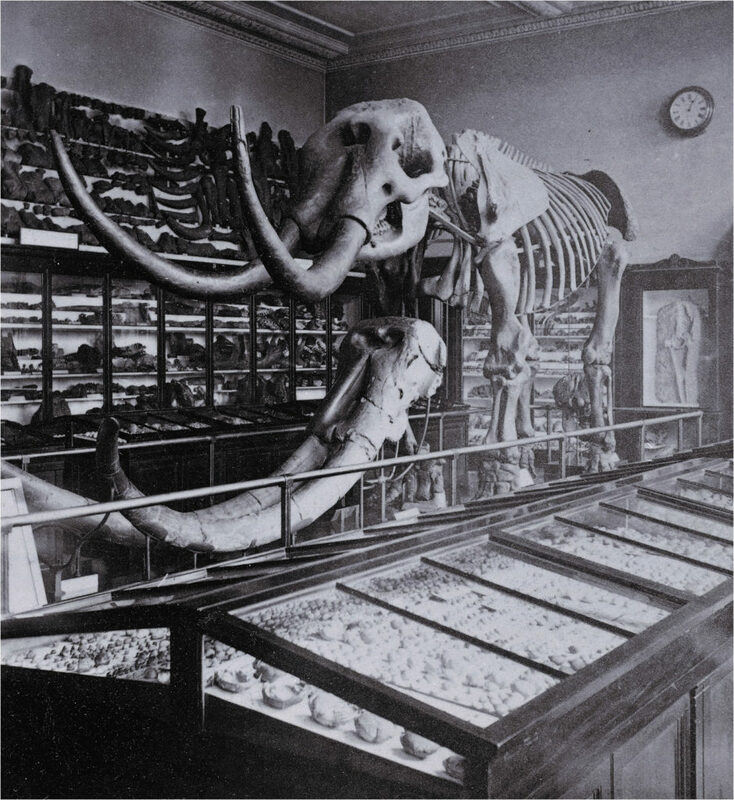 In the early 1880s, it took 394 trips by horse and cart over 97 days to transport the zoological specimens from Bloomsbury to their new home in South Kensington at the then new ‘British Museum (Natural History)’. 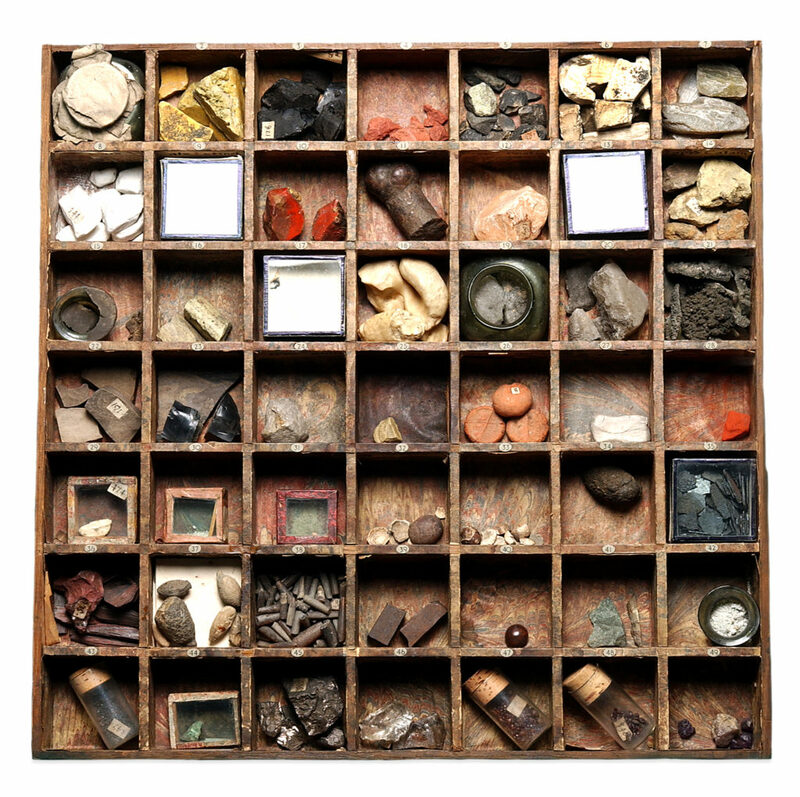 You might know it better as the Natural History Museum – uncover the shared history of the nation’s natural history collections here. 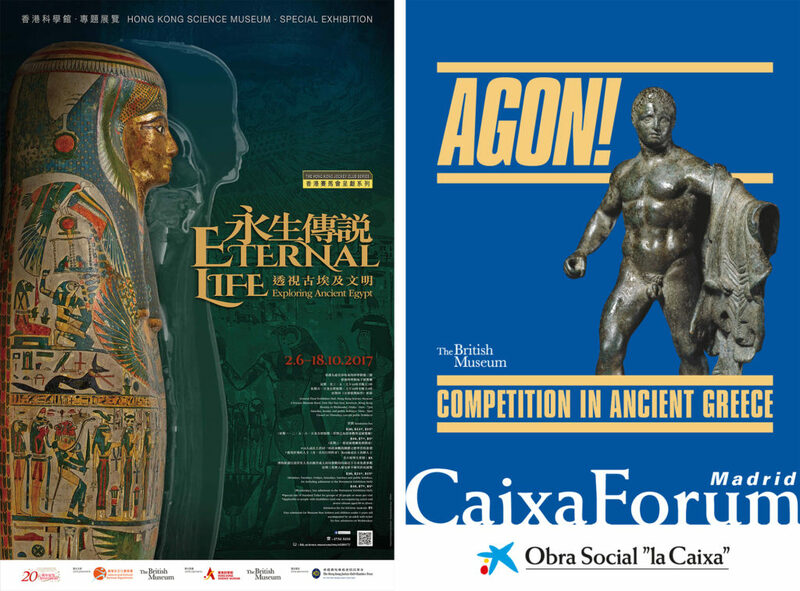 Over the last 10 years, the Museum has opened 92 international touring exhibitions in 21 different countries. More than 10,000,000 people around the world have seen one of our touring shows – that’s more than the population of London! This Ming dynasty (1368–1644) ink painting illustrates a story about the 8th-century Chinese painter Wu Daozi, who is said to have painted a dragon so realistic that it came to life the moment he completed it. 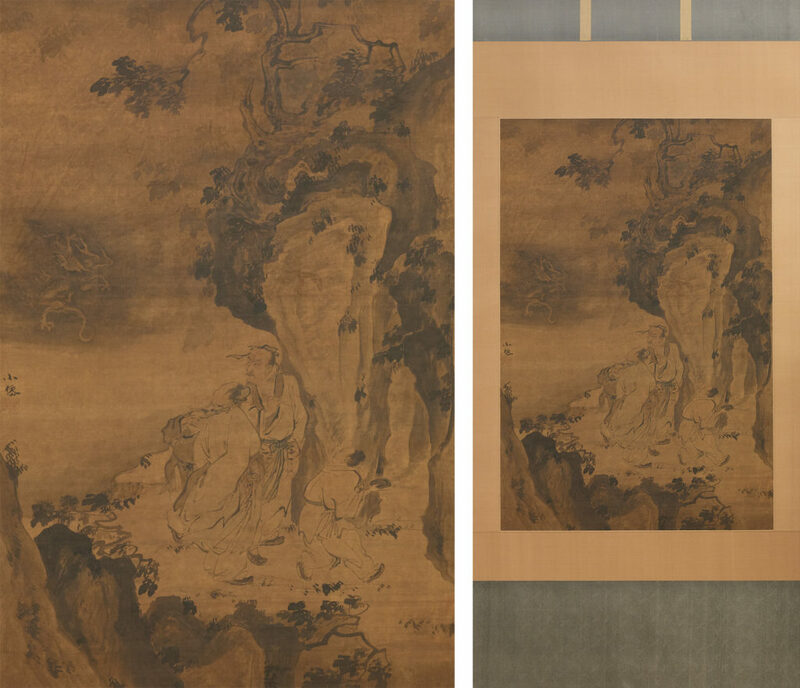 It took three conservators 491 hours to remount this silk painting during recent conservation work in the Museum’s Hirayama Studio. There are 500 clay tablets on display in our current exhibition about King Ashurbanipal of Assyria. 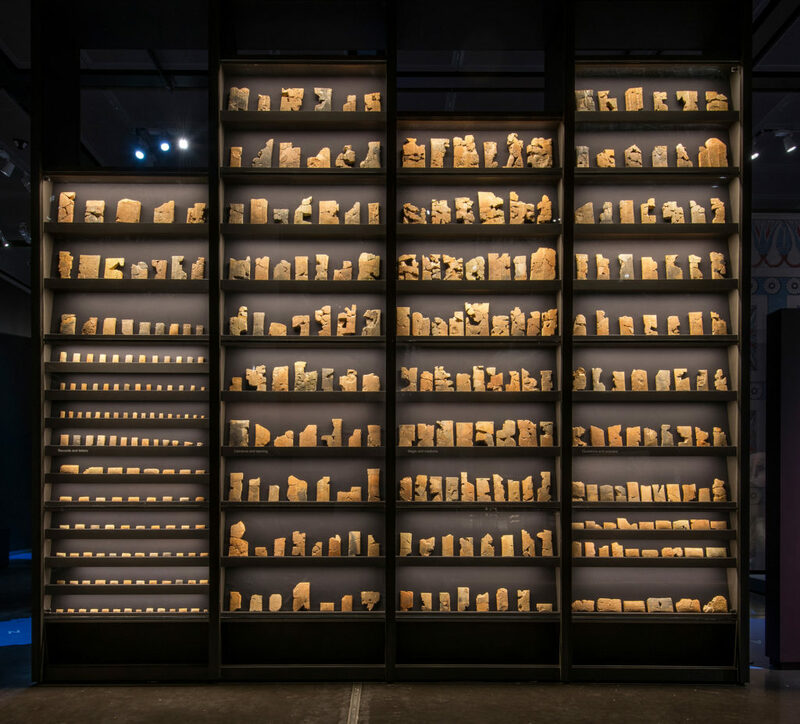 Over 2,600 years ago, Ashurbanipal collected a library of 30,000 tablets inscribed with cuneiform script – an ancient type of writing made up of wedge-shaped marks. The tablets in the Library cover all kinds of topics, from magic to medicine, politics to palaces. You can find out more about the king’s Library in this blog post. 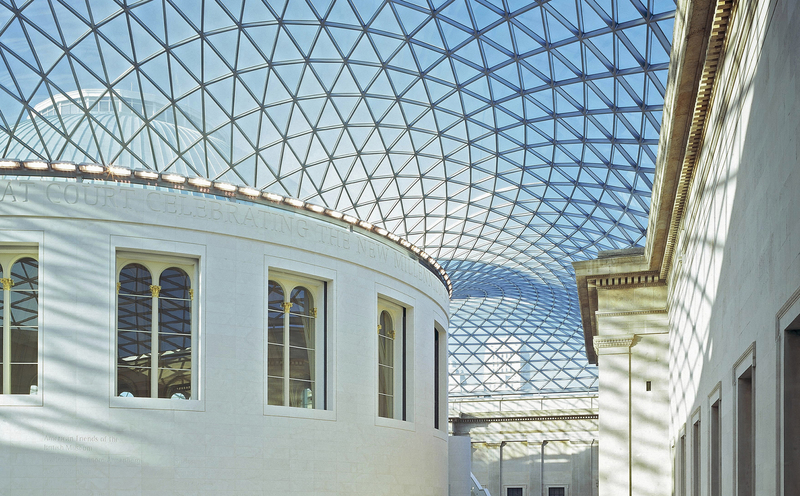 The Great Court forms a spectacular centrepiece to the Museum. At two acres, it’s the largest covered square in Europe – bigger than a football (soccer) pitch. There are 3,312 uniquely shaped panels of glass in the roof, which stands 26.3 metres above the floor at its highest point. Can’t get enough Museum trivia? 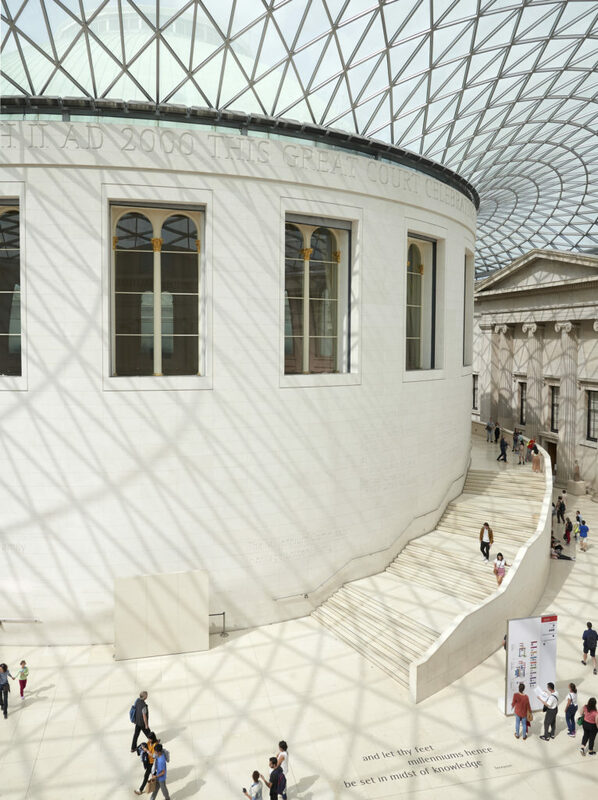 Discover 29 things you might not have known about the British Museum in this blog post.